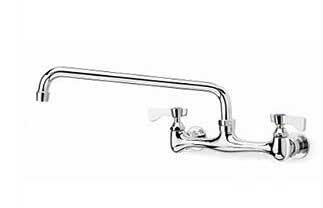 Standard Heavy Duty Faucet from Krowne Metal. Wall mount with 8 inch center and 8 inch spout. Use with 1 compartment sinks. NSF certified and Low-Lead compliant to meet California AB-1953 and Vermont S152 standards.